I really like Maxwell so far, this is my 2nd render. Far from perfect but its pretty nice I think. The multilight feature is really cool. I have avoided the GPU render engine though as its crashed during the night on many occasions and besides, it does not support multilight. Disappointing, but it is a LOT faster than CPU though. Excellent Andy! Really good renders..
Don't forget to check the "performance suggestions" document(s) to speed things up. I don't have the link handy right now, but perhaps someone else can post the link for you? Those look really nice Andy. Curious what SL these achieved and how long did it take to get there? As Tech mentioned above, there are some handy time-saving performance suggestions (somewhere) to speed things up. Multilight is the killer feature for Maxwell and no other render engine IMHO does a better job simulating real light and real materials. I have been using pinhole camera, real world light settings etc. I think the noise is just my lack of skills with materials and lighting in general if I'm honest. (still a total noob) Anyone know if that render time is excesive? On this occasion it was not a problem as I was out at work, but it would be nice to get the render time down. Oh! That`s pretty slow! WHy did not you used GPU as well? You have nice card. I assume you used high definition models as emitters. Also I believe your emitters intersect with other objects. That significantly increases rendering time. I don't think that my emitters do overlap, although perhaps they are too close to other objects? My models are usually pretty clean but I will keep this in mind for the future. Thanks for the link, I have seen that before. What do you mean by high definition models. (My emitters are just planes in most cases). PS. GPU crashes my scene, and multilight is not supported either. Yes, interior renders in Maxwell do take a long time to clear up generally. But as well as using window emitters, keeping the bulb emitters really low resolution, I find the denoiser to be great. Depending on the model of course, I'm getting usable renders in around 2 to 3 hours at a resolution of around 4096 x 3072 or there abouts. I usually set the denoiser to Fast at each SL starting at SL6 so I can get some feedback. Some texture maps such as woodgrains etc. can suffer, but clear up after some extra time. Do you have emitters directly outside the windows? 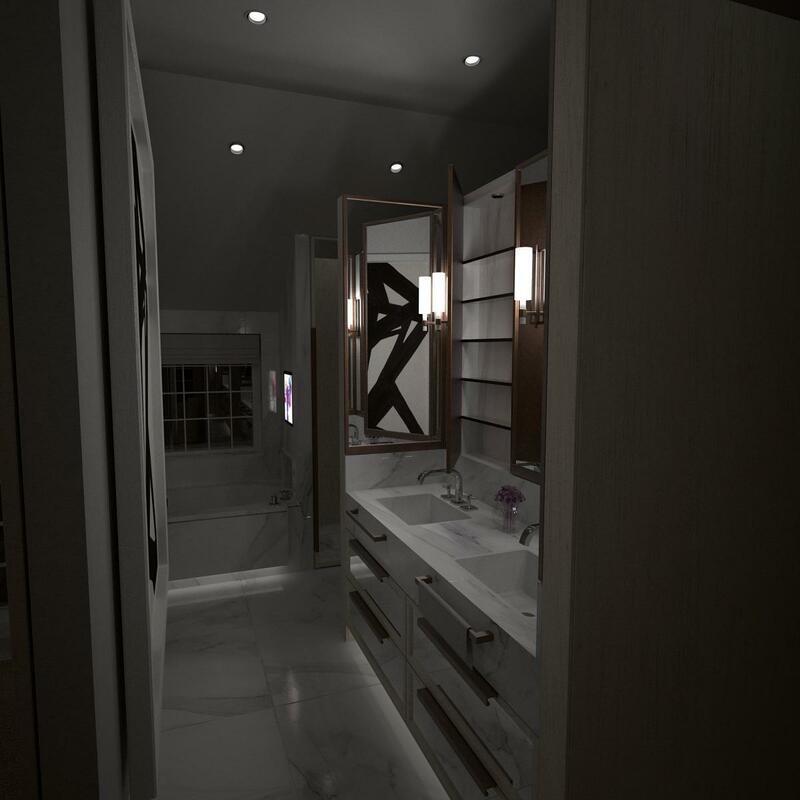 Is it Vray that has portal lights or is that Maxwell, that's something that Iv not tried. My renders (usually around 2k square) take about 6 times longer than yours! Jeez, I need to brush up! Yes, my emitters are on the inside of the window right up to all of the edges (just a flat rectangle), make sure you have the normals pointing inwards and that "hidden from camera" is selected for each emitter in the maxwell attributes. The issue is that Andrew West has published some comparative renders done in the new Vray vs. Maxwell render with much different render times that make Maxwell seem slow. The discussion went basically that he was not using the Denoiser, which could remove noise quicker for faster test renders but had issues with the results being 'smudged', which seems to be a current issue in v4.1.1.1 Andrew asked about the Maxwell Material library? The smudging of your woodgrain could have been fixed with simply "redenoising". I must also add we are all waiting for a new version update to fix this and some other GPU related issues that will make much faster render times possible. About Andrews post, you can reply to him that there are really two bugs with the denoiser right now. One is an outright bug, the other is more a bad implementation because they don't (yet) give us control over how heavy we want the denoising to be. The bug is easy to get around. You can tell him to simply press the "Re-denoise" button in Maxwell Render, after the render is finished and has already denoised the render once. Let the denoiser run again, and he should get a much less smeared render. Once Maxwell has MultiGPU, additive materials work on GPU and the denoiser issues are fixed, I think people will take another look at Maxwell. 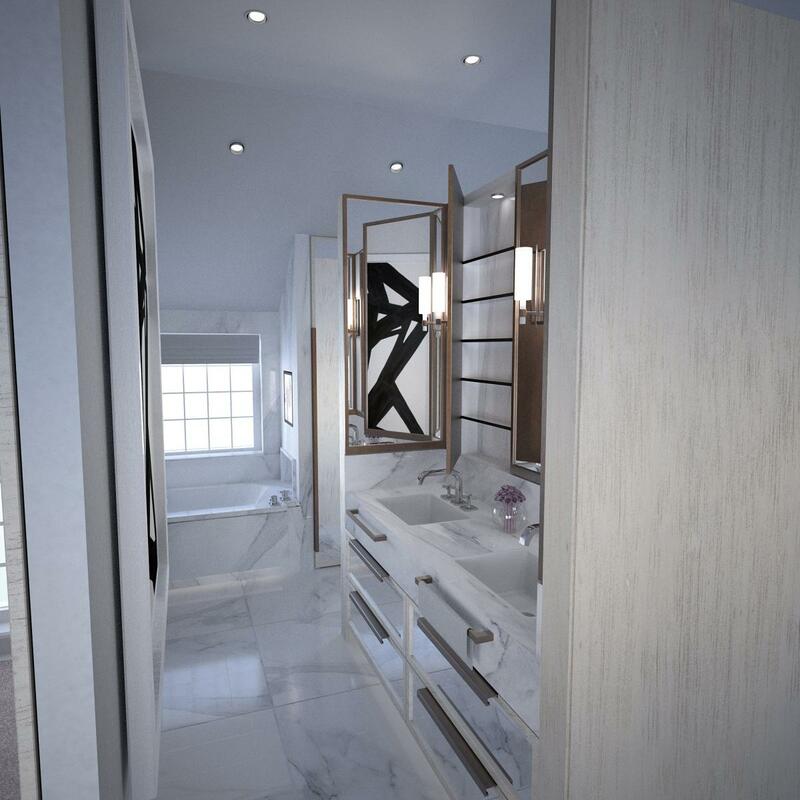 There is no other renderer that is as good out of the box at archviz, jewelry and product design, and even VFX. An interior archviz render like this example should only need about SL (Sampling Level) 13 (which is actually rendered twice, the denoiser works by comparing noise in two different images), and then the denoiser does the rest. A typical interior render needs about SL 18 to have acceptable noise (which would still need a bit of denoising in Photoshop), SL 14 is reached approx. 16X faster because each SL level takes twice as long to reach as the previous one (SL 13 rendered twice is equal to rendering something to SL 14, time wise). So a good working denoiser means already about 16X faster render + you can buy a box of 4 GPUs for about the same price as a high end computer, and in my tests so far the GPU renders even a complex interior about 3X faster than on my CPU, thus 4 extra GPUs would get me 12X faster renders + 16X faster from the denoiser - around 28X faster rendering, for a relatively small investment. Regarding the Maxwell material library, there are fewer materials there now because it has been curated by NL staff so that only good materials are left and also those that have proper textures. Andrews reply in that thread is something typical I've seen over the years: I need something in 15 minutes that I can show to my client because they make a lot of changes. And for some reason they have no problem doing a preliminary test in Vray and show them a render that's far from final quality, but every test with Maxwell needs to be rendered completely noise free...people freak out about the slightest noise in their render, even a test, and even more than they would in a digital photo that has plenty of noise if you look closely. So this is yet another area where the denoiser in V4 can be really useful. They can let the render run to only SL 9, run the denoiser and show the test to the client. It will be a little blurrier than the final render (SL 14 + denoiser), but as a test it's perfectly fine and it will be noise free because of the denoiser. In summary you can reduce render times in Maxwell but care in the set up and not pushing the limits for test renders and with a little wait for a new version that will make GPU rendering more viable and super fast. Mihai is a great resource, very knowledgeable and it is worthwhile mentioning the Maxwell Public forum - https://forum.maxwellrender.com You need to login but it can be great resource. What do you mean by high definition models. (My emitters are just planes in most cases). I thought your tubular lights are the cylinders and they are high polygon models (or interpreted so from FormZ parametric cylinder by Maxwell). And they might to intersect with smaller tubes underneath. Also you might have your window emitters being intersected with window frames. Unfortunately I don`t see the scene myself so I can`t tell more. What I found from that text is the invisible emitters are real time savers.